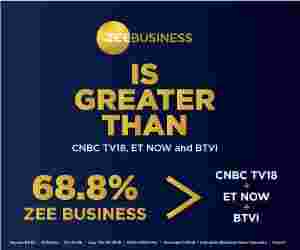 Dilip Piramal; Chairman and Managing Director, VIP Industries, during an exclusive interview with Zee business, spoke about the quarter results, CapEx and expansion plans and expectations from international business. Rakesh Jhunjhunwala wealth problem? What's that? This favorite stock made him poorer by 6% today, but another made him richer by 7%! Q: Industries has posted good results in September quarter and has reported a 27 per cent growth in its PAT and 18 per cent in revenue. What were the growth drivers for the quarter and how you will define this growth? A: Performance of our products, which is liked by our consumers, has helped us in increasing our sales. Q: Can you let us know about the volume growth across different brands for this quarter? A: Our volumes have gone up by 35 per cent while the value has gone up by 30 per cent. Q: How does your current sales portfolio look like contribution from Mid premium, Mass and premium segment? A: Each and every ranges and segment are performing well at present. It is a difficult task to say that this section/segment has performed best in its category. However, our backpacks have grown by a maximum of 10 per cent more than other segments in the quarter. Q: Do you think that the market volatility, due to crude prices or rupee depreciation, will have an impact on your margins? A: There will be a pressure in the ongoing quarter (October-December) due to certain reasons like we buy our products from China by using their currency and depreciation in rupee which is almost equal to the depreciation in Chinese currency but there is a price increase in China, we are trying to neutralise it. Secondly, our sourcing from Indian region and Bangladesh has gone up and this increase is mitigating the Chinese impact. Q: Let us know about the performance of the Bangladeshi subsidiary of your company? A: It is growing and performing well. Q: What is your outlook in international business and areas of competition? Also, inform about the markets with better opportunities? A: We have a small presence in the international market as it has a contribution of just 5-7 per cent in our sales. Secondly, our produce at Bangladesh subsidiary is imported to India. But, we will be expanding ourselves in the international market in 2019. Gulf and Europe are our markets and we are planning to enter into the US market. Q: What are your plans related to investment (CapEx) and expansions? A: We have a huge CapEx of Rs50-70 crore for expansion of our regional and Bangladeshi warehouses, which will be used to handle the volumes in the year. Implementation of GST has led to a change in our distribution policy and we will have to have racking and material handling systems for the purpose.